The French edition of An Atlas of Impossible Longing, translated by Myriam Bellehigue, is published this week by Actes Sud. It has been picked by Livres Hebdo, the French equivalent of Publisher's Weekly, as one of its three best books for the month. 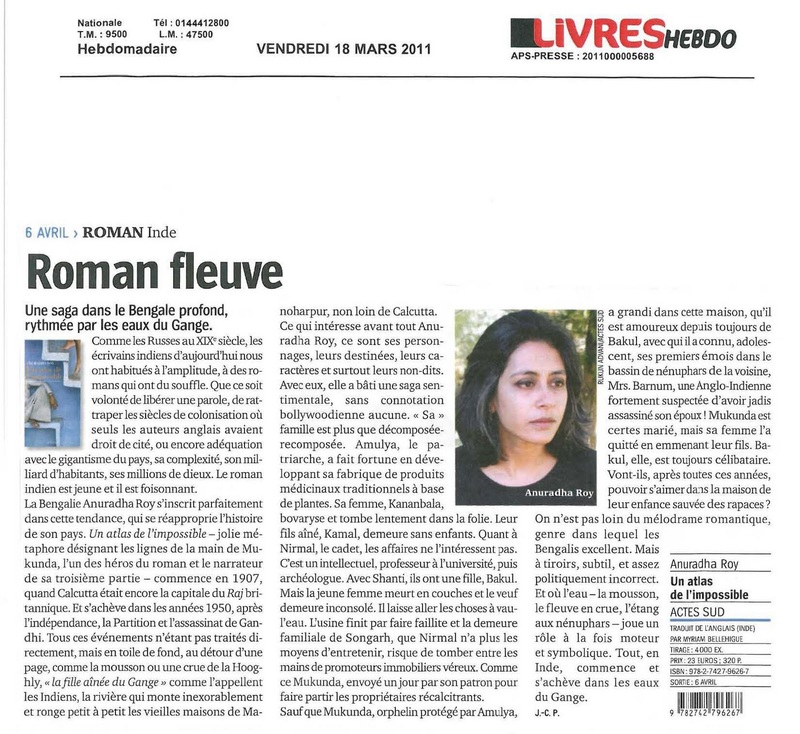 The happiest translation story for me is how Myriam Bellehigue became my French translator. We have been close friends ever since we found ourselves living on the same staircase at university in Britain. She now teaches English literature at the Sorbonne, working mainly on American poetry -- Elizabeth Bishop was the subject of her PhD. When she read the first draft of An Atlas of Impossible Longing she made detailed suggestions for improving it and also said she wanted to translate it if that opportunity ever came up. At that time, with the novel being turned down by more or less every publisher, a translation of it seemed a remote possibility and we drowned our sorrows in her dark coffee. 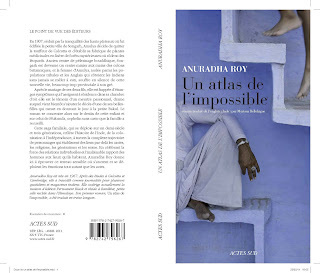 The French rights for the book were bought by Actes Sud. And although publishers are extremely wary of trying out new translators, they gave her a trial. When they read her work, they knew -- as I always sensed -- that she would be an absolutely brilliant translator for the book.